Ben Bernanke’s reconfirmation as chair of the Federal Reserve is in disarray. With President Obama having launched, on Thursday morning, a major new initiative to rein in the power of – and danger posed by – our leading banks, key Senators rightly begin to wonder: Where does Ben Bernanke stand on the central issue of the day? There are three specific questions that Bernanke must answer, in some convincing detail, if he is to shore up his weakening cause in the Senate. 1. Does he support the President’s proposed emphasis on limiting the scope and scale of big banks? 2. With regard to the key detail, is it his view that the size of big banks can be capped “as is” or – more reasonably – should we require these banks to contract or divest so as to return to the profile of system risk that prevailed say 15 or 20 years ago? 3. If Congress cannot act in the short-term, because of opposition from Republicans and some Democrats, does he see the Fed’s role as taking the initiative in this arena – or will he wait passively for the legislature to act? As running hard against the “too big to fail” banks is now a major theme of 2010 and beyond for the Democrats, how can any Democratic Senators feel comfortable voting for Ben Bernanke unless they know exactly what his position is on all of these points? And given what we know about Bernanke’s record and positions relative to these questions, absent new information it is not a surprise to see his support dwindling. 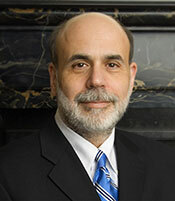 Update: the Senate needs to hold a new hearing for Ben Bernanke – here’s the full proposal. Jobless Claims Fell Last Week, But So What? Are Seasonal Factors Behind Last Week’s Jump In Jobless Claims? What does it matter how he answers these questions? Nothing these people in Washington say is consitent with what they do. The Federal Reserve is a disater and it doesnt matter if its Beranke or Greenspan, it needs to be abolished and the US dollar needs to be back on the Gold standard. The idea that a group of people can artificially higher or lower rates and tinker with an economy to the benefit of banksters on wall Street and pass the bill on to the public is insane. I couldn’t agree more Mark! The Federal Reserve is a PRIVATE institution….letting them dictate our National Policy in ANY form is insane! Destroy the Federal Reserve and go back to the Gold Standard….that is if we have any left after the years our Governmant has been stealing from us left and right! 1) Why are you so resistant to allow the American People access to the books? Your defiance and resistance gices the appearance you have much more than a repitation to hide. 2) Where is all the money? 3) If you could change the color of your beard, what color would you make it? People need to realize, the only way Bernake would be replaced, is is they (the Fed) wants it that way. Congress has no power. As it stands, the president chooses who runs the Fed from a list the Fed provides. This recent idea to open the books on the bailout issue is only more sleight of hand,until they let congress and the American people look into ALL the dealings of the Fed, a complete Audit going back decades would we ever have a clue how much they affect us and cause these recessions. Man of the year from Time Mag? What an insult. Even if he was replaced, it would not be anyone bringing any change. Everyone needs to watch “creature from jekyll island” and learn how this farce got started in the 1st place, and how they have robbed all our countries savings through interest and inflation. Death to the Fed, JFK was the last to propose and begin the process of doing that……then he was murdered. we’re in perfect agreement bernie. we must get rid of the fed. Banks should be limited to 100 to 150 billion so they would not be too big to fail but they would be big enough to compete and take advantage of economy of scale. Banks that are currently larger must divest themselves to that dollar range. HA HA HA. I agree completely. It doesn’t matter if it is the Fed, the government or people/families … the ENTIRE country is run by a bunch of financial misfits. Everyone is shortsighted and selfish. I can’t believe we, the people, have allowed the government to run up a multi-trillion dollar debt. Out of control!! And most individuals are not better or smarter. Shut down the Fed, go back to gold standard. The main question is why did/was he and the FR asleep while the Fanny Freddy house bubble exploded? He and the Fed should have raised rates. He and the Fed slept while Barney and his ilk subsidized houseing w/ Fanny and Freddy easy credit and bad loans. The Fed was intransigent in the politics of the day ie the stock market levels. Had he done his job rate hikes would have tampered the explotion in houseing to a burp at best. Bernankey, instead of opening the gates (interst rates) to regulate the flow, floated on the lake until the dam burst. He should go down as well. Vote NO for his reinstatement. What is required is to essentially put the Fed and Bernake out of business with a Constitutional amendment requiring a return to a monetary system based on combination of precious metals – not just gold. Three come to mind. Gold, Silver, Platinum. Not only was our monetary system very stable (even through a war) when based by gold but became unstable and inflationary immediately after the gold standard was abolished. Money not always stable, inflation during Civil War due to Greenbacks, but recovered years later. WWI inflation began with the inception of the Fed. Reserve, which grew much faster after Roosevelt confiscated gold. Good Luck going back! Ken is spot on. I would go further to say that government do-gooder regulations that go against good business/financial practices are responsible for most of our business/financial problems. What makes politicians qualified to make these kinds of decisions and cement them into law? Bernie must go. I am positive he ran the whole sheme and decided who gets the TARP funds for his own profit to. Did you watch the interview on 20/20 awhile ago w. Greenspan. This guy is filthy rich from his position w. teh feds and all the dealings he did. Bernie did the same. While Omama was promising to the America people Trap funds to create jobs and aleviate the foreclosures, Bernie was doing his own dealing behind closed doors w. the big banks and his buddies. To bad we the people cannot vote if Bernie will still have a job!